Recently my son declared that he no longer liked crunchy cookies. He wanted cookies that were soft and chewy in the middle. Having always enjoyed a thin and crispy cookie, this got me thinking about how I would adjust my recipe. Hence, my version of Oatmeal White Chocolate & Cranberry Cookies was born. I needed to learn a little bit about the chemistry of what made a cookie crispy or chewy inside. Frankly, I didn’t know and I thought it was time to learn so I could adjust my recipes as needed. What did I find out? Brown sugar has more moisture than white sugar. Who knew?? I bet lots of you did. I didn’t. If you use bread flour you get a chewier cookie. I didn’t want to do that because I don’t normally have bread flour on hand and I’m all about the ease of baking or cooking anything in my kitchen. Another step I’ve added for chewier cookies is to chill them for a half hour to an hour. When you chill the dough it simply doesn’t spread out as much – thicker = chewier. Lastly, use parchment. You’ll notice I use parchment paper often to line my baking sheets. With cookies this helps with producing chewier cookies because they don’t seem to expand or spread as much when I use it. Cookies are a nice treat any time of year. It’s super simple to wrap them up and you may already have what you need on-hand. I used a white paper lunch bag for the last two batches I made and simply wrote “Enjoy”! on the outside. You may even want to use them as Christmas gifts for your favorite grandparent! If you like a crunchier cookie I would suggest cutting down on the brown sugar (replacing it with white), using a greased cookie sheet, and skipping the part where you chill the dough. There are also so many more ingredients you can add. 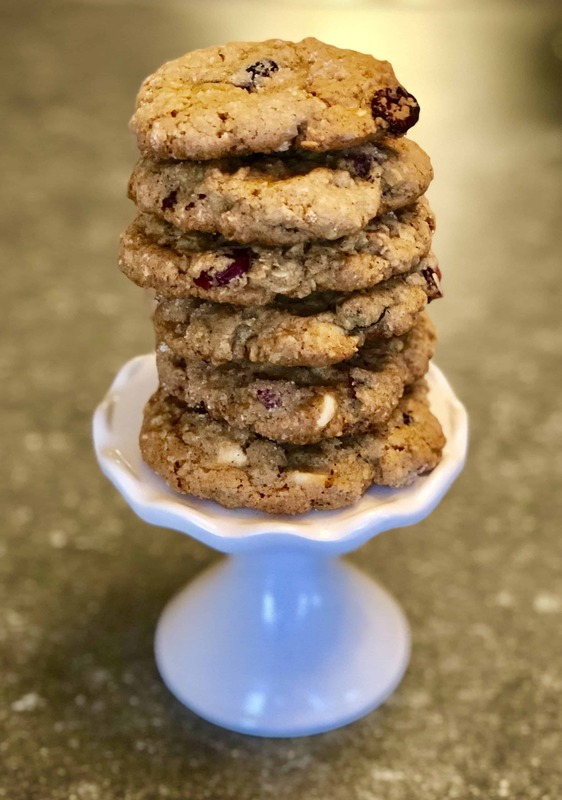 Add walnuts or macadamia nuts, coconut, or dark chocolate into these oatmeal white chocolate & cranberry cookies and you’ll have a variation all your own. You can even make adjustments to make this a healthy oatmeal white chocolate & cranberry cookie! I really do hope you enjoy these cookies as much as I do! 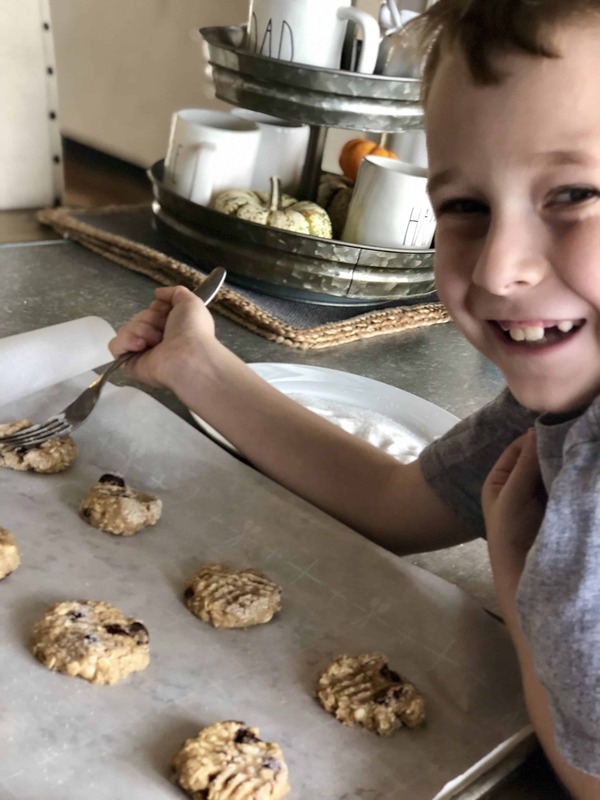 There are quite a few famous oatmeal cookie recipes out there, along with ones that claim to be the best oatmeal white chocolate cranberry cookies. My advice? Try them all and find the one you love! 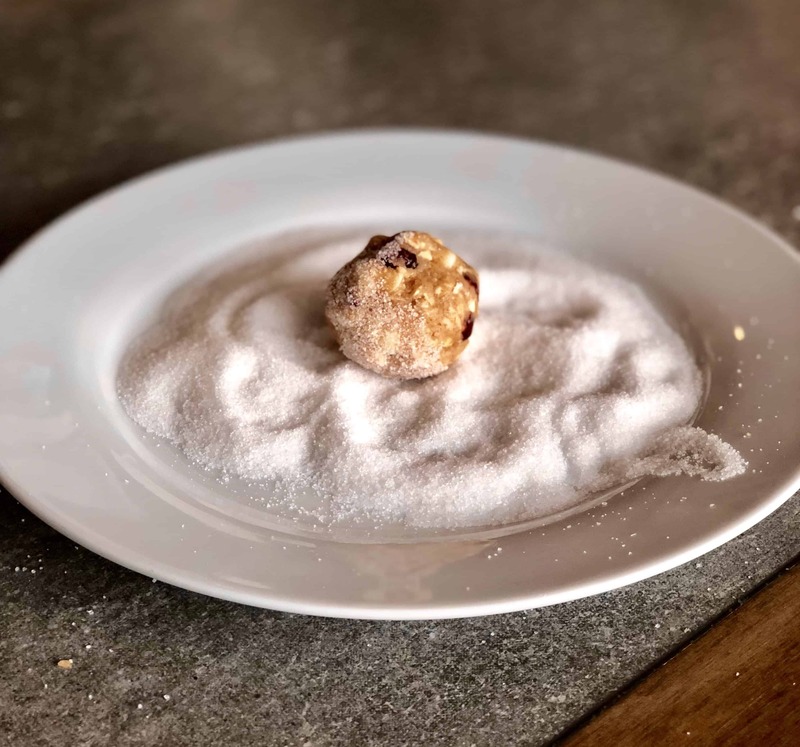 Dipping the cookie balls in sugar make them extra special! So here it is – the recipe you’ve been waiting for! Chill the milk – you’re about to start dunking! These Oatmeal White Chocolate & Cranberry Cookies are fabulous to keep or share! Step 2 In bowl, cream butter and sugars. Beat eggs and add slowly followed by the vanilla. Step 3 In second bowl combine flour, baking soda, cinnamon, and salt. Add oats while slowly mixing. Step 4 Combine both bowls until well mixed. Step 6 Chill for one hour in the refrigerator. Step 7 Use a tablespoon size scoop to scoop into portions. Roll each scoop with your hands and roll in white sugar. Step 8 Place onto the cookie sheet giving enough room for expansion. Press on each cookie ball with a fork just like a peanut butter cookie. Step 9 Bake cookies between 8 and 12 minutes (my oven is 12), allowing each batch of cookies to cool down on the baking sheet for 3 minutes. Step 10 Transfer to a wire rack to completely cool. Hello Amanda – I’m so glad you liked the recipe! Please share when you make it and if your family enjoyed the cookies!